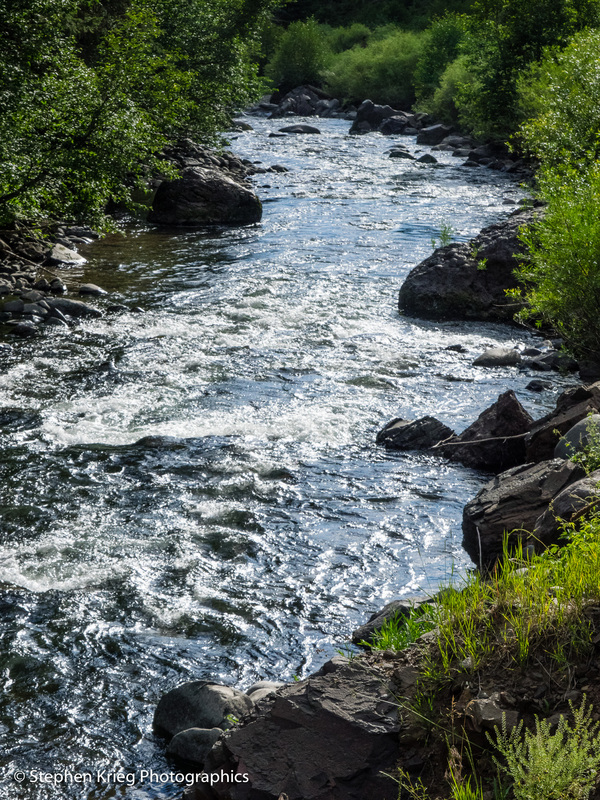 The San Juan River of Utah, New Mexico, and Colorado begins in the high country of southwest Colorado. In the San Juan Mountain Range. Most of its lower stretches are as a desert river. But it begins high above the desert world. Its origin is up at the Continental Divide, where water flowing down to the Colorado River basin is separated from that flowing down the other side, into the Rio Grande River basin. East Fork of the San Juan River. I revisited San Juan’s source area again recently. East of Pagosa Springs, where the East Fork of the San Juan joins the West Fork. In this lush green valley below the highest peaks I made this image. I had only been through it twice before. This time, though, I was thinking much more about the watershed. About the river and its tributaries. The interconnectedness of it all. I have been living near the mouth of the San Juan. Where it empties into the Colorado River at Lake Powell in southeast Utah. Not right at the lake, but in the area. Studying the geology, hydrology, archaeology, history of the region. Following my naturalist curiosities. It’s an amazing place. So I became interested in where this desert river began. Followed it upstream on the map. Then up the highway. Instead of driving up over Wolf Creek Pass to the other side, this time I lingered on the San Juan source side of the Divide. I camped along the West Fork, watching a beaver go about its evening in its created pond off to the side of the main stream. Drove up the East Fork, envious of the trout fishermen casting into the waters of the cold clear mountain stream. 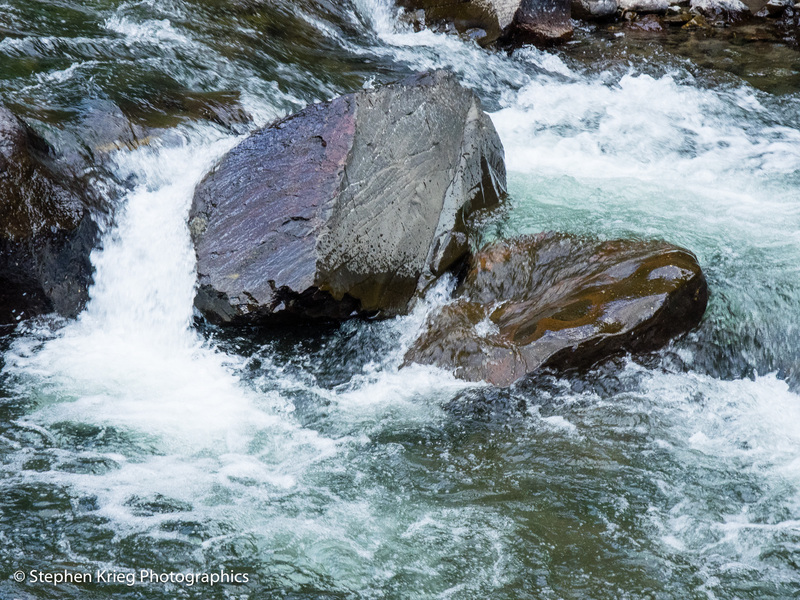 Ripplin’ waters of the East Fork of the San Juan River, Colorado. In the morning I broke camp and drove up over Wolf Creek Pass. I had some other interests to explore. But I would be back, and soon. Trout Lake, Colorado Twilight Reflection. I was back up in the San Juan Range of the Rockies in southwest Colorado. Contemplating where to camp this time. I drove up to Lizard Head Pass. Maybe there? It sure looked great. But with the sunset colors on the high peaks, I drove around some more. Don’t want to miss any daylight, you know. Above Trout Lake I pulled over on the highway shoulder. With the reflection from the lake, the sky seemed to be in the pocket of the Earth. I made a series of overlapping photos to be merged in Lightroom into a single high resolution image. Here is a web friendly version of it. Done with the day’s light, I settled in to camp.